Hope all is well! 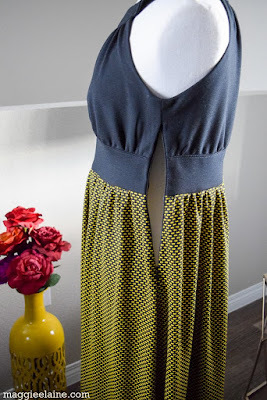 As spring approaches, I cannot help but get excited about all of the fun dresses and looks that I want to sew. 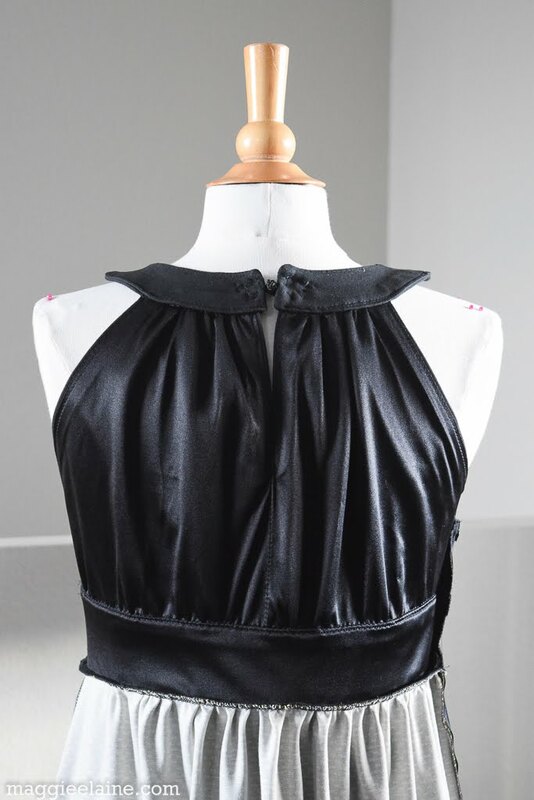 I have already planned out a long list of “to-makes” and my hope is that I will find enough time and energy in the day (or night) to get at least 50% of my sewing “to-makes” done. To get started on dresses, I made a version of Simplicity 1881 and the Morris Blazer by Grainline Studios. My initial intent was to style these two pieces together. However, after finishing both pieces, I decided the look was not working for me. 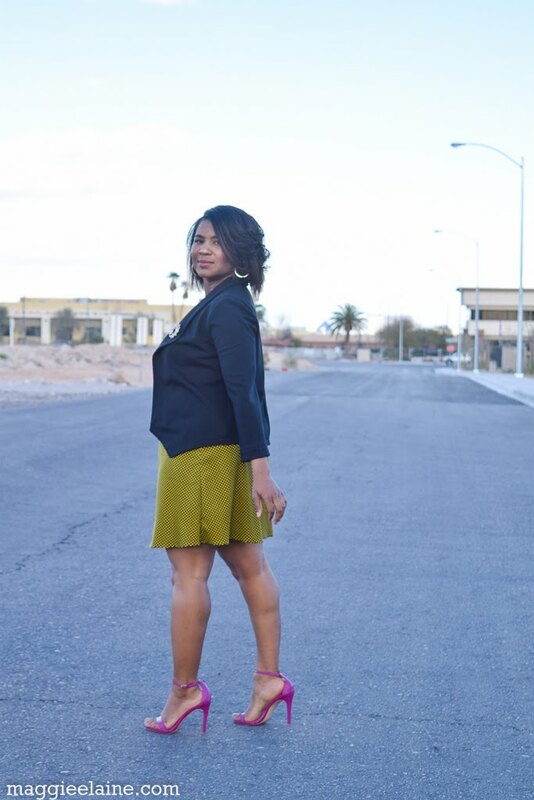 I felt the dress could stand alone and wasn’t made to be covered, and the blazer deserved its own spotlight as well. Therefore, my plans changed at the last minute. 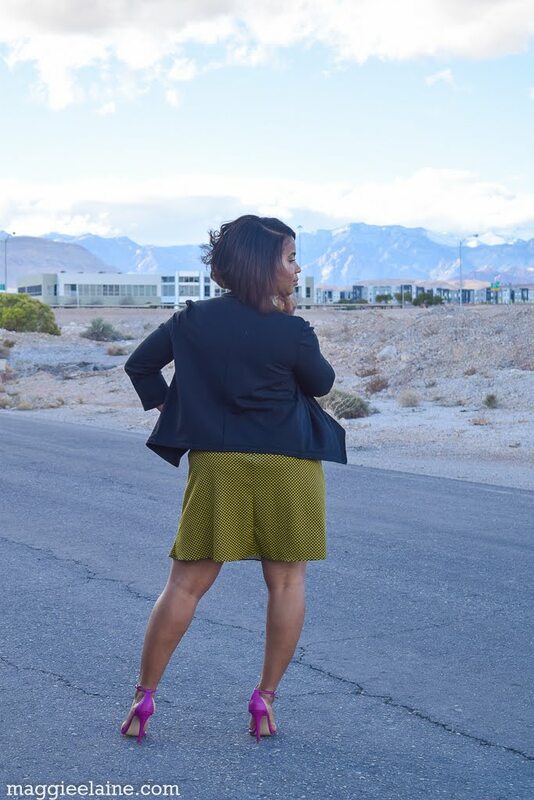 I used a big scrap of the bow tie print fabric to make a skirt to wear with the blazer instead of the dress. I made the skirt using New Look 6035. So let me talk about the fabric! I am excited to see that Fabric Mart is offering a lot of options for fabric made with viscose. Many of the RTW clothing items that I love seem to have some level of viscose content. So when I saw this black ponte knit made with viscose, nylon, and lycra, I hopped on the opportunity to get it. Viscose can be found in several other types of fabric such as this crepe here, this jacquard here, this jersey knit here, and this suiting here. I also picked up a few yards of this super cute yellow and black bow tie print ponte knit found here. 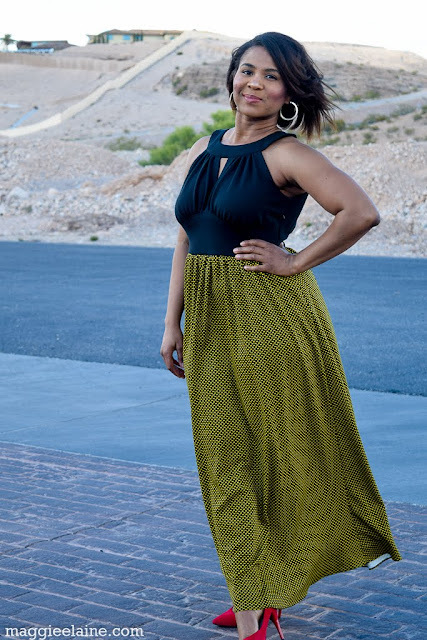 I wanted to make the blazer and bodice of the dress in black and make the bottom of the dress in this print. 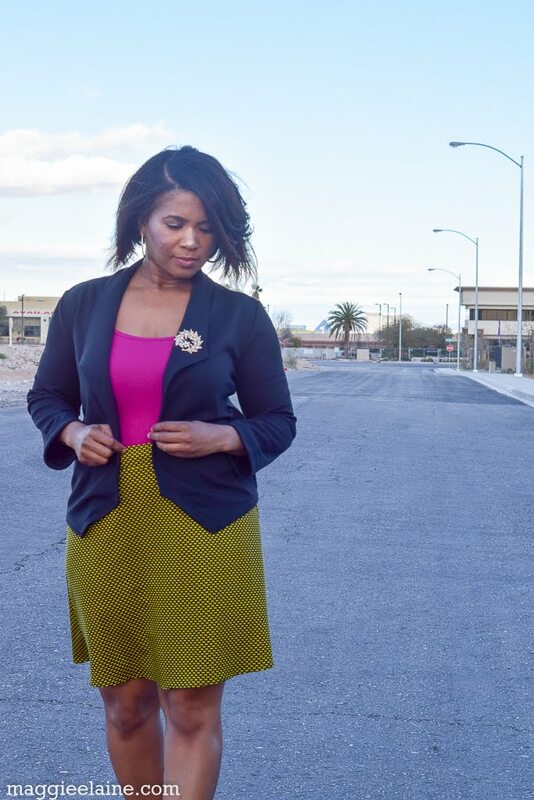 After seeing the final looks, I thought to myself I created a “work” look and a “fun, happy hour” look, with the same fabric for both, which made me think of the phrase “mixing business with pleasure”! Ok, let’s first start with business. 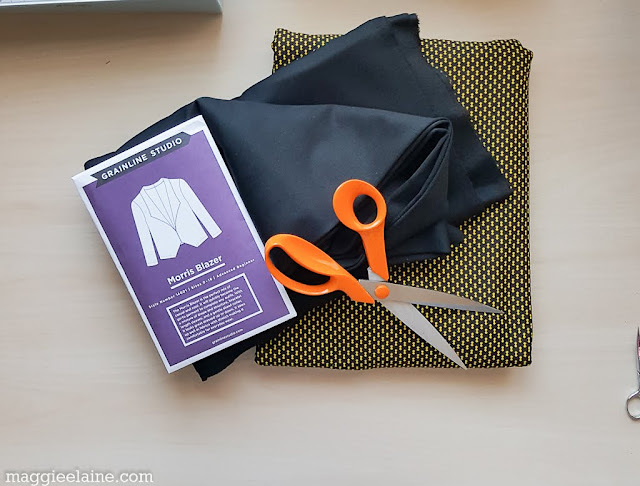 The Morris blazer is definitely a quick and easy sew. This pattern is designed for an unlined blazer using either stretch woven or a mid-weight knit. Therefore, my fabric choice was perfect! I really like the slanted blazer front and the top-stitching along the entire blazer. With this fabric, I found that a ball needle 80 worked so much better than a stretch needle. 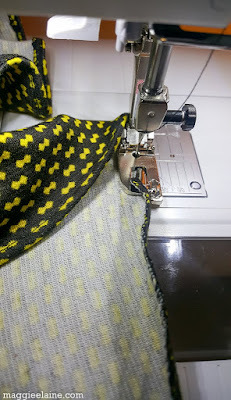 I used scraps of the fabric to make capped sleeves on another project with a stretch needle and I found that the stretch needle skipped a lot of stitches. To top-stitch, I used a small stitch width zig-zag, so that the top-stitching would have the appearance of having a straight stitch look versus a very noticeable “Z” shaped stitch. For the seams, I zig-zagged then serged. The skirt was very easy to sew. 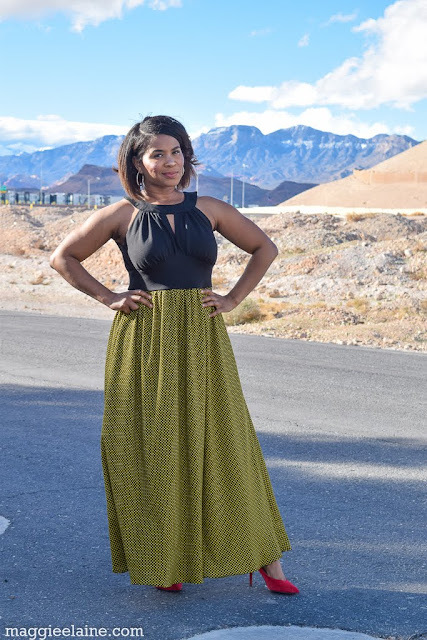 The skirt front and back uses the same pattern piece and there is one pattern piece for the back and one for the front waistband. The pattern is designed to have the zipper on the side, but I moved it to the back. Therefore, I cut the back into two pieces and added seam allowance to insert the zipper. For the most part, I usually switch side zippers to the back, because it is easier for me to take the sides in. Now moving on to a little pleasure…this dress makes me feel soooo good! I love the flowy, effortless, and chic look of this dress. The shoulder seams poke up a bit, which I am sure can be fixed with a little more snipping of my seams on the inside and pressing. I believe I left too much excess bulk in my seams. It is an easy fix. Just a matter of undo-ing a little of the top-stitching and snipping a little more seam allowance out. I love the keyhole, gathered bust, and waist details of the bodice. The pattern instructions advise to cut the lining for the waist in tricot, but I went ahead and lined the entire bodice with tricot instead of fabric. In this instance, the bodice would have been too bulky using the fabric for the lining too. Besides, I was down to scrap fabric pieces anyway. Interestingly, I re-purposed tricot that my grandmother had started making a slip out of a very long time ago. 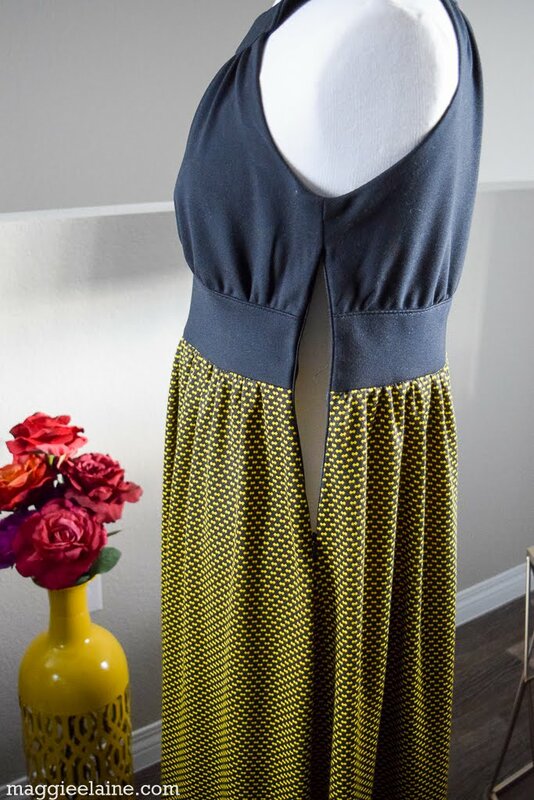 Now this dress has a side zipper. 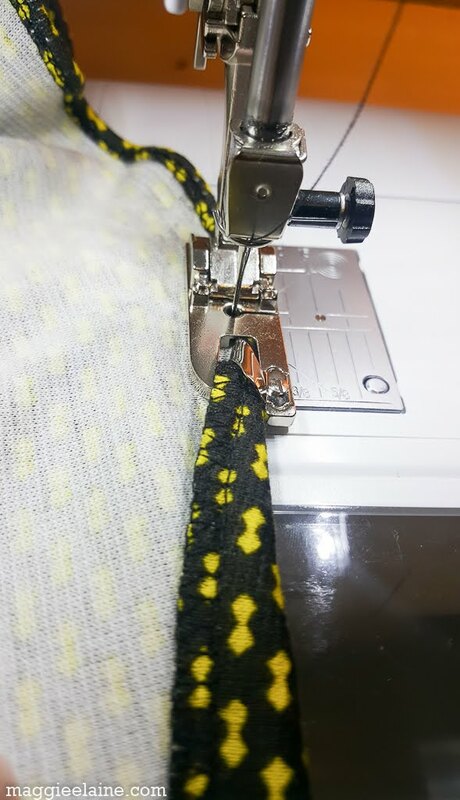 As a learning lesson, I left the zipper on the side, because I was interested in learning how to construct a side zip that has lining and stops midway in the garment. Luckily, I did not need to adjust this dress at all on the side bodice, so it worked out. Instead of using two buttons, I used one small frog closure on the back of the collar. Last year, I donated one of my sewing machines along with a narrow hem foot. I could never quite grasp the hang of that foot, so I gave up on it. However, I have a few things that I want to do where a narrow hem foot would make my projects and life so much better. So I decided it was time to give it another try. 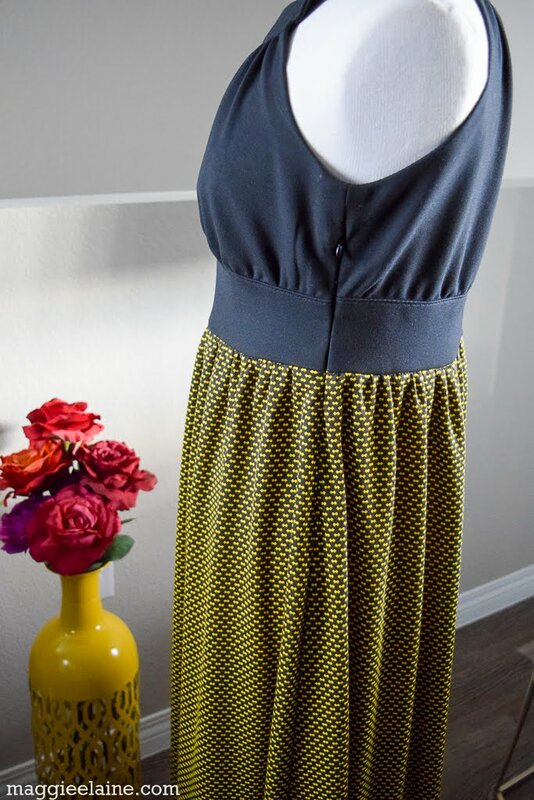 I picked up a new one recently, which is referred to as a rolled hem foot, and decided to try it out on this dress. To my surprise, it worked with no issues! One of the you-tubers that I watched pointed out that the key is keeping the fabric folded and touching a certain spot on the foot while it is rolling through it. Sometimes little simple tips can make all the difference. Now I can’t wait to get the narrow hemmer for chiffon, silk, and like fabrics, I have so much of that type of fabric that I can’t wait to work with! Well off to think about what I want to do for next month’s Fabricista Fabric Mart Blog post, until then, happy sewing! I really love the dress! I eyed this bowtie fabric but couldn't think of what I could do with it! The skirt works really well with the blazer! Good thing you had enough fabric for it. Thanks Frougie! I think you would like working with this fabric. It's so nice and flowy. 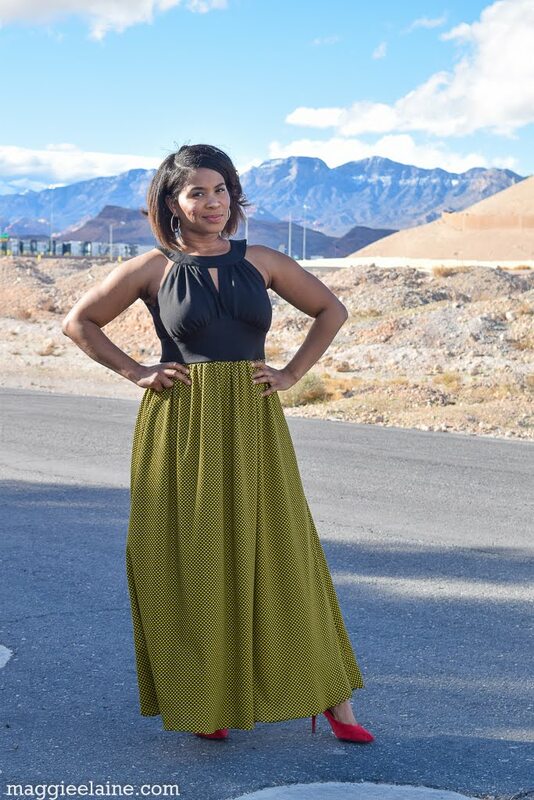 Great for a spring/summer dress, beautiful color too! Very pretty! I really like the dark bodice with the lighter skirt. And the red shoes! Great combo! Thank you Ann! I just love color surprises. Color is a really fun aspect to play around with! Thank you! I am practicing more and more with each project to make them look quality made and finished! So thanks for noticing! Love both projects and how you stilled them. I love these looks. The dress flows so well. Great fabrics and creative sewing. I'm impressed. The shoes add a flair that says stunning. Thanks Michelle!!! I cannot wait to see your version! I know it's going to be spectacular! 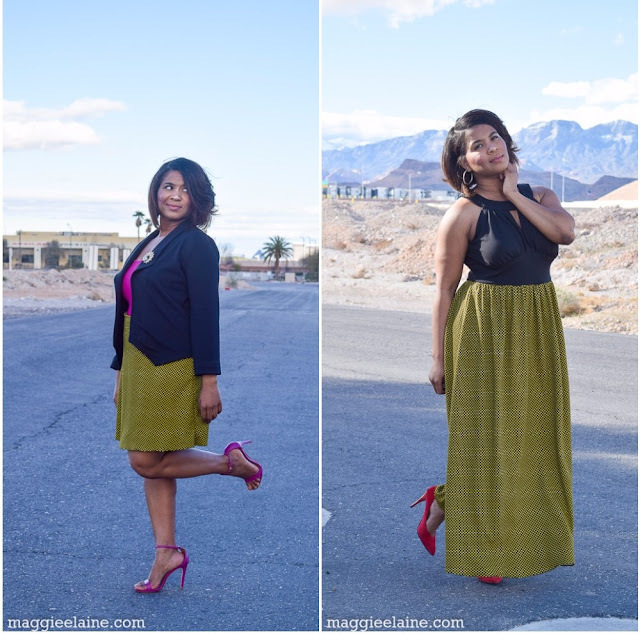 I adore your makes, especially the maxi dress and the blazer. Whenever FM is showcasing black ponte with a lot of viscose/rayon in it, I buy it up. I think I have about 5 yards of the stuff now and I need to dig my (never-used) Morris pattern out. This so inspired me!!! !